sides where people have parked before walking or busing down the hill. This area of increased parking extends all the way from the bottom of McCowan Road to the south end of Midland Avenue, where visitors walk along the bluffs below the St. Augustine Seminary, sometimes climbing down to the Park from there. 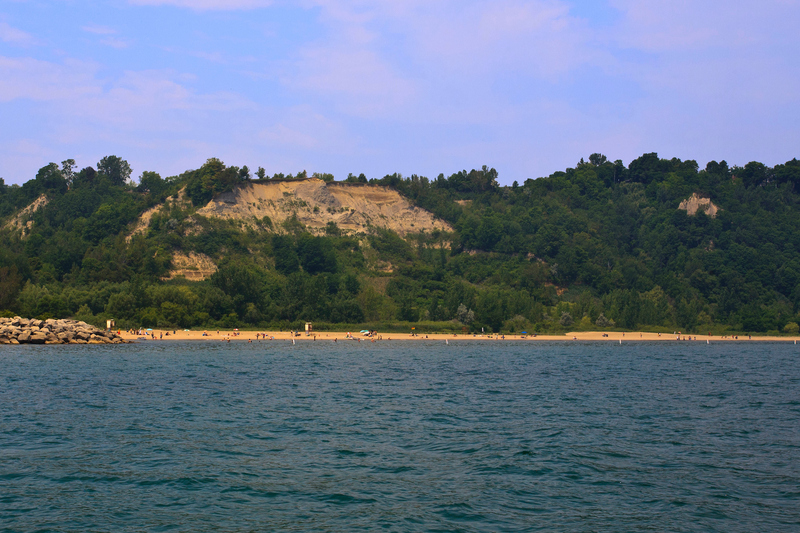 In the past two months, a few individuals have become stuck on the Bluffs, requiring rescue. It is important to know that anyone trespassing on the Bluffs, faces a possible fine of $ 5000. In general, increased pedestrians and vehicles slow traffic through these otherwise quiet neighbourhoods, especially along streets that do not have sidewalks. One bluffs resident has voiced concerns about the ability of emergency vehicles to navigate roadways narrowed on by parked cars. 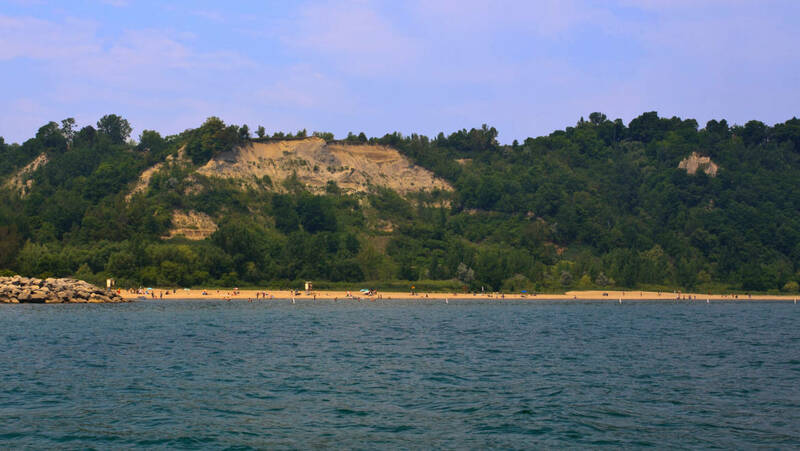 Local Councilor Gary Crawford has commented that these and other issues associated with the increased use of Bluffers Park are being given serious consideration by several departments of the City, not only Parks and Police, but also Planning and Budget. The heavy traffic is a tough problem, but one that is at issue in many cities – how to keep a beautiful area in its natural state, which is the heart of its attractiveness, and still keep it safe and accessible during increased use. Jim Sanderson is a local bluffs resident, and the author of Toronto Island Summers, (James Lorimer, 2016).